A field of buoys anchored to special concrete blocks establishes, permanently, four differentiated spaces on the coast to avoid accidents between athletes and bathers; In addition to the beach area, specific areas for kitesurfing, windsurfing, surfing and bodyboarding are enabled. Until now, there was not a beach in Spain that would separate four specific areas for the practice of different sports and leisure activities throughout the year. The El Medano has just taken the first step and set a precedent after beaconing its bay with a system that guarantees the safety of bathers and allows lovers of nautical activities, both amateur and professional, to practice their favorite sport without having to worry about the presence of people in the water. The works, which began in October to take advantage of the period of marine calm, have just concluded and have consisted in the delimitation of the four spaces with the placement of buoys subject to sunken concrete blocks, whose size and weight are prepared to withstand temporary, given its permanent nature, unlike what happens in the Peninsula, where the beaches are beacons in summer and the field of buoys is removed in winter. The main part is destined exclusively to the swimming area and covers 7,600 square meters of land, from the Médano hotel to an intermediate area of ​​the Leocadio Machado beach. Between both points the navigation of any vessel or floating device is prohibited. From there, in the direction of Montaña Roja, the sports area begins with activities ordered from lower to higher “aggressiveness” for bathers, who in no case may use this area of ​​the coast. Area 2 is enabled for surfing and body boarding; the 3 for windsurfing and the 4, the furthest from the bathing area and the widest, for kitesurfing, a type of kite glide that requires large spaces. 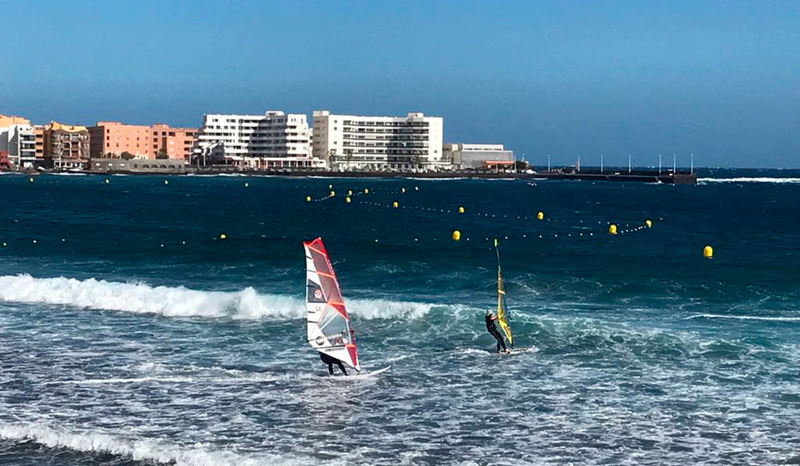 The leeward wind turns the coast of El Medano, in Granadilla de Abona, into an ideal spot for sailing water sports, as evidenced by the international competitions that take place throughout the year. Pedro Díaz Rodríguez, responsible for Environment and Sustainable Development of Granadilla de Abona, has been working for five years as coordinator of the project that he himself designed and whose main objective is to minimize the risks in the boom of nautical activities in recent years in the coast of the municipality. In fact, the number of accidents has been increasing. Now, the Tourism Area of ​​the Cabildo has managed to turn the project into reality with funds from the Strategic Framework for Island Development, although it has not been an easy process, since the works have required different sectoral reports and the mandatory authorizations of the General Directorate of Coasts and the Port Authority. The environmental evaluation of the project was one of the greatest difficulties that the technicians have had to face, forced to modify the initial idea since it is an area of ​​sebadales, plants that enjoy special protection, as explained by the technical team of the area. 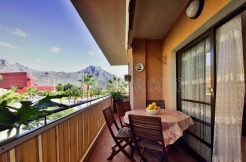 of Tourism of Tenerife. In fact, the services of a specialized company were hired to carry out environmental monitoring of the work and to prevent it from altering the sedimentary dynamics of the seabed. The beacon of the El Medano Bay includes, in addition to the buoys in the water, signage on land. Specifically, four large signs have been installed in which the specificity of each of the maritime sectors in which the beach is divided and the prohibition of its use for an activity that is not indicated is explained. Once the beaches of El Medano and Leocadio Machado are marked, the next step that the City Council is considering is to carry out a regulation that establishes a maximum load capacity in each of the established sectors, setting a maximum number of athletes who are at same time in the water. The insular councilor of Tourism, Alberto Bernabé, highlighted the “great claim” of outdoor sports for a quality tourist destination like Tenerife. “In a few places in the world you can practice all year round and, especially, those related to the sea, where El Medano is a mecca for professionals and aquatic activities fans”. Bernabé stressed that the beacon aims to reconcile the different uses of the beach and makes it possible for sports to coexist with different needs with bathers, in safety conditions as a first-class tourist destination deserves. ” He also highlighted the commitment of the Cabildo for initiatives such as the windsurfing and surfing cups held at El Medano and Arona, respectively.